Excavators, milling machines, and construction crews will continue to upgrade Deutsche Telekom’s network throughout Germany in 2019: splicing optical fibers, setting towers in concrete, and installing antennas. The installation of 2,000 new mobile base stations is planned this year, upgrading links along freeways and train routes in particular. And preparations for launching 5G are well underway. In the fixed-line network, countless cable drums with optical fiber will be unreeled: 60,000 kilometers of optical fiber are to be added to Deutsche Telekom’s network in 2019, on top of the 500,000 kilometers already installed. 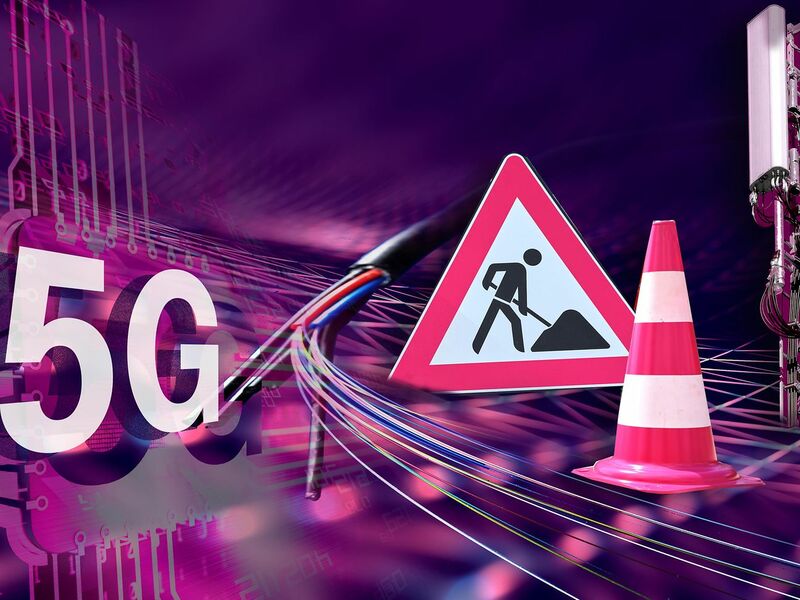 Deutsche Telekom has already deployed initial 5G technology: the first 5G antennas in Europe have been transmitting in Deutsche Telekom’s network in central Berlin under real conditions since 2018. They represent the cornerstone for a commercial 5G network in Germany. More than 50 antennas have been integrated in the live network and are already transmitting in the heart of Germany’s capital city. Deutsche Telekom will be making increasing use of small cells in its network in 2019. These small “amplifier antennas” can be used to upgrade network capacity in line with demand, wherever customers need them. Major cities like Hamburg, Berlin, and Munich will be the focus here. Public phones often serve as the locations of small cells. Things will kick off in January this year with a public phone equipped with a small cell in the historical center of Düsseldorf. In addition, lampposts and street furniture will be used to pilot alternative installation possibilities. In this context, the first small cell installed in a lamppost is already transmitting in Bad Honnef.